Super. Cheap. Friendly atmosphere. Lovely helpful staff. Great breakfast. Would 100% recommend. I had a wonderful stay! It was my first solo trip and this hostel made me confident about doing more. The staff was extremely helpful and kind. I even befriended one of them! They are conveniently located where most of the activities are and because of Tour Me Out, I was able to go on a FREE street art walking tour & a 12€ Pub Crawl. Keep in mind towels are not provided & costs 1€ to rent! Other than that, everything was perfect! My favourite hostel! HUGE modern rooms, curtains on each bed for privacy and the biggest lockers I've ever seen!! Really big bathrooms too. Kitchen was also huge, only downfall: no oven! The hangout area was a really large area too, with comfy sofas. Extremely good selection of food at breakfast; 5 types of cereals, sweet treats, toast, fruit, meats/cheeses, coffee/juice, even warm croissants straight out the oven! Super friendly staff too, and right near the centre! Will deffo be back! The best hostel on my 16 day’s trip to Spain and Lisbon. Strongly recommend Valencia and The River Hostel. Such a pleasant stay! 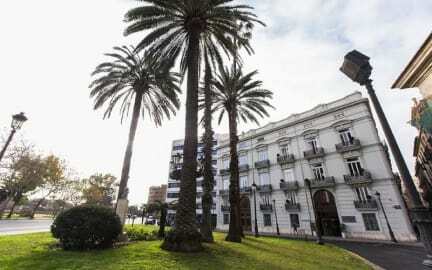 Located right where you need to be if you want to walk to the main attractions in Valencia. The staff was friendly and helpful. And the beds were nice & comfy! I would recommend this hostel to anyone going to Valencia. Location was a little far from main sites but still walkable. Staff were all very helpful. Rooms were very clean with plugs and lockers at each bed. Unfortunately they stop serving alcohol at 10pm so there's very little atmosphere at the hostel itself and most people seemed to be keeping to themselves. There is a pubcrawl for 12 euros you can do though that's run by an outside company. 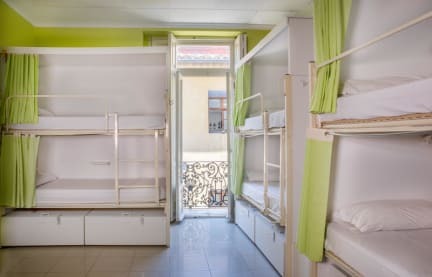 Overall a great value hostel in Valencia. A little bit old. Great breakfast. Not far from the train station and side streets. Simply it's not a good one to take .